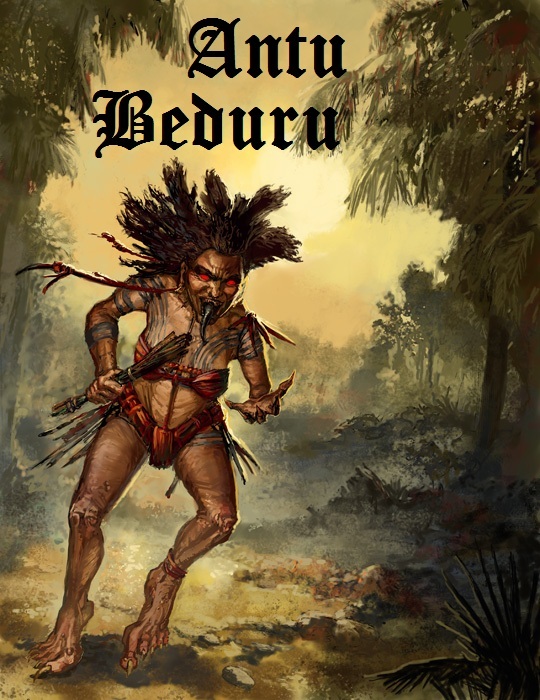 Antu Beduru: Badu agi ngerichau, Jugol! Anang ngambu sebarang utai! Badu agi ngerichau, Jugol! Anang ngambu sebarang utai! Lagong is our man, claims SNAP. All eyes will be on George Lagong whom SNAP claims is its man although he won the Pelagus seat as an independent. KUCHING: Sarawak National Party (SNAP) has won a seat, albiet by default, through Pelagus candidate George Lagong. Party secretary-general Stanley Jugol said Lagong was a current member of SNAP and had contested in Pelagus due to a last-minute change in strategy. Jugol said Lagong was originaly slated to contest under the SNAP ticket in the remote Baleh constituency against Parti Rakyat Sarawak (PRS) president James Masing. “We had announced Lagong’s name for the Baleh seat at our earlier press conferences. Lagong is a SNAP member. “But at the last minute, he decided to switch strategy and contest in Pelagus because of family pressure, ” he said, adding that Lagong is Larry Sng’s nephew. Partyless Sng was dropped by BN from contesting this time. Jugol explained that when Barisan Nasional (BN) failed to name Sng as a candidate, his family had immediately contacted Lagong and told him to contest in Pelagus. “It all happened very fast. SNAP was aware of Lagong’s decision and agreed for him to contest in Pelagus under SNAP ticket. “But due to logistical reasons – Baleh is very far upriver from Kapit – we could not deliver him the letter of authority in time for him to submit his nominations in Pelagus as a SNAP candidate. “So Lagong contested as an independent but he is a SNAP member,” Jugol told FMT, adding that Lagong had given SNAP permission to announce this fact. Jugol, however, did say that although Lagong was a SNAP representative, it would not be recognised in the State Legislative Assembly. “In the state assembly he will be considered an independent because he won the seat as an independent,” Jugol added. 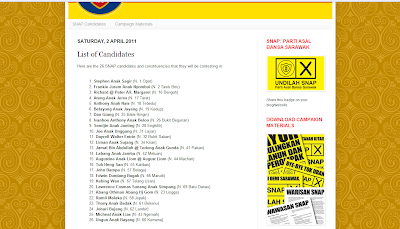 Lagong was the only independent among 41 independents who won a seat in the recent Sarawak state election. He defeated BN-PRS candidate Stanley Nyitar by 2,837 votes. Lagong secured 5,740 votes against Stanley’s 2,903. The PKR candidate, Edward Sumbang Asun, managed to secure 1,171 votes. In 2006, Sng won the seat under a PRS ticket but Masing sacked him from the party in 2009 for insubordination. Sng has been partyless since and Masing’s adamant refusal to accept him back into PRS or for that matter allow any other BN partners to accept him resulted in BN dropping him as a candidate despite Sng being Taib’s blue-eyed boy. Masing has blamed PRS’ loss in Pelagus in Saturday’s election to “money politics”. “The pride of the poor communities is as deep as their pockets. This is most evident in politics,” he had said. Yesterday, SNAP president Edwin Dundang had announced that the party was not “wiped out” in the election as widely reported. “Lagong contested in Pelagus with the full knowledge of the party. When he was unable to get the letter of authority from me, he had to contest as an independent. “He could not be present today at the meeting as he had some commitment,” he said, dispelling rumours that Lagong was open to offers from other BN coalition partners. Word here is that Lagong, who is currently in Brunei, is being wooed by Masing who is eyeing the post of deputy chief minister. Except for Pelagus, PRS won all its eight out of nine seats contested in Saturday’s polls. Masing is bent on getting Lagong and bolstering his party’s credentials as having delivered 100% of its seat. Sarawak Democratic Progressive Party (SPDP), another Dayak-dominated BN component, won six out of eight seats it contested. This is your official statement on your 26 candidates: List of SNAP's candidate. George Lagong's name was never on your list. And now you say he is SNAP candidate? Please continue to twist and turn your words, Jugol, so that people will know who you are. Baru menang 3 iti udah kelalu sumbung,orang baka antu buyu tu ukai ka nulung bansa tang ngeregau bansa.3 iti menang ari 40 lebih seat nadai ngasoh ngeli rangkai nya u,agi jauh pejalai kita.Anyway,may antu buyu become a minister once PKR took over Sarawak,hah hah hah,keep dreaming.